The world has lost one of its special treasures: retired Navy captain and former NASA astronaut Edgar D. Mitchell, LM pilot for Apollo 14 and one of the 12 men who walked on the Moon, died on the evening of Thursday, Feb. 4, 2016 at the age of 85. His passing brings the number of humans alive who have stood on the surface of another world down to 7 and, as of Feb. 4, none of them from Apollo 14. Born September 17, 1930 in Hereford, TX, and raised in Artesia, NM, Mitchell resided in Lake Worth, Palm Beach County, FL since 1975. Fellow Apollo 14 astronaut (and first American in space) Al Shepard died in 1998 at the age of 74; CM pilot Stu Roosa passed away in 1994 at 60. Apollo 14 is now the first lunar mission prime crew (besides Apollo 1, whose crew was killed in a fire on the pad) to be deceased. 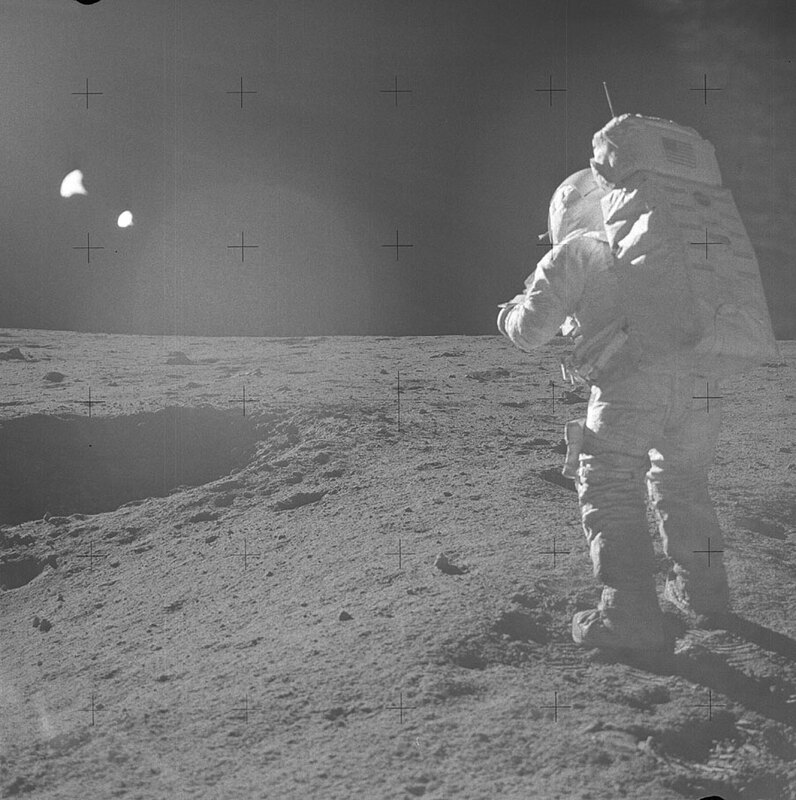 In his post-NASA life Mitchell was an outspoken supporter of metaphysical phenomena, citing his experience during his trip back from the Moon as a consciousness-expanding event. Read an analysis on Mitchell’s revelations on The Atlantic here. Mitchell’s death, in addition to the personal loss for his family, should serve to remind us all that despite how far we have come in the past several decades we as a species still have quite a long way to go yet in returning humans to the Moon — or the surface of any planet besides Earth for that matter. All of the surviving Apollo astronauts are now in their 80s and, if we aren’t careful, we may find ourselves back at a point where all of our off-world explorers are referred to in the past tense. For Capt. Mitchell, as they say in the space sector: godspeed sir, and thank you for your service. Read the full report of Mitchell’s death on the West Palm Beach Post here. Next Post Why Are Pluto’s Moons So Weird? Very good article. Thanks for sharing it. When an another crew walking on the Moon or better on Mars ? ?